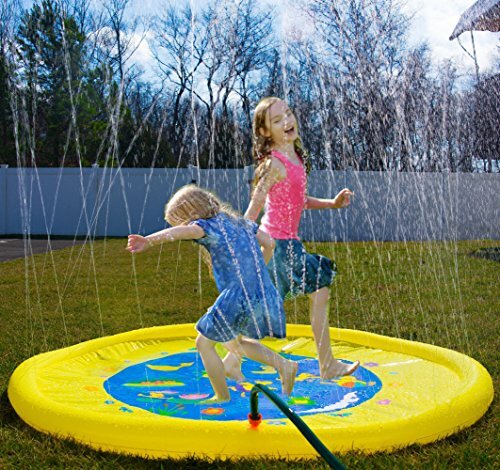 Splash Pad -- SUPER HOT Price & FREE Shipping! Splash Pad — SUPER HOT Price & FREE Shipping! BIGGER AND BETTER - 68" diameter family sized water filled sprinkler spray mat for infants and kids. INNOVATIVE 2ND RELEASE VALVE - to make unplugging and draining the water for the next use super easy.